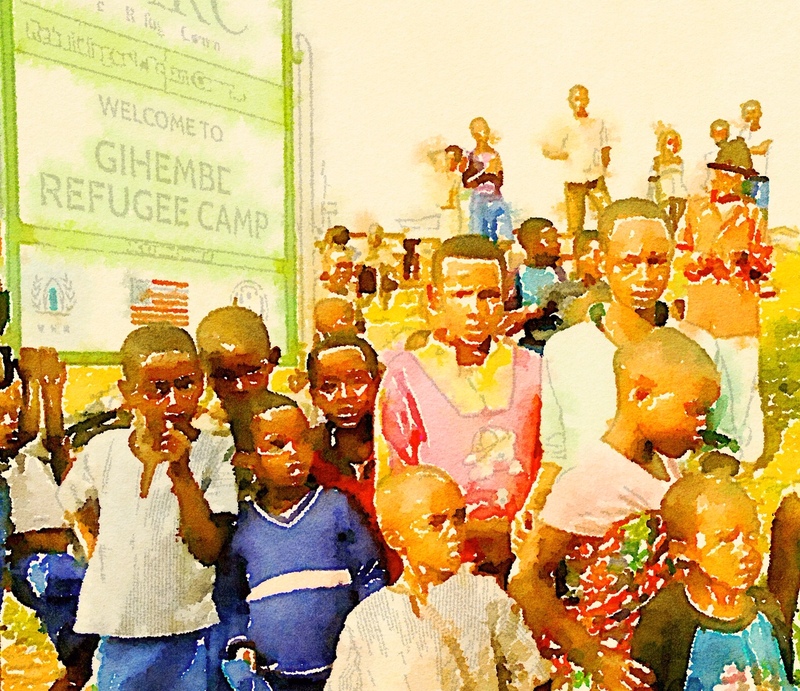 There are numerous ways to think of Gihembe Refugee Camp in Rwanda, but I found the most helpful for me is to think of it as a small town. It is a small town made up of more than 17,000 people squeezed into an area about the size of a pro football stadium. Imagine the difficulties associated with that set up. My first thought, being an American, was that there must be absolutely no privacy. Every one would know what every one else is doing. I’ll leave that to your imagination . 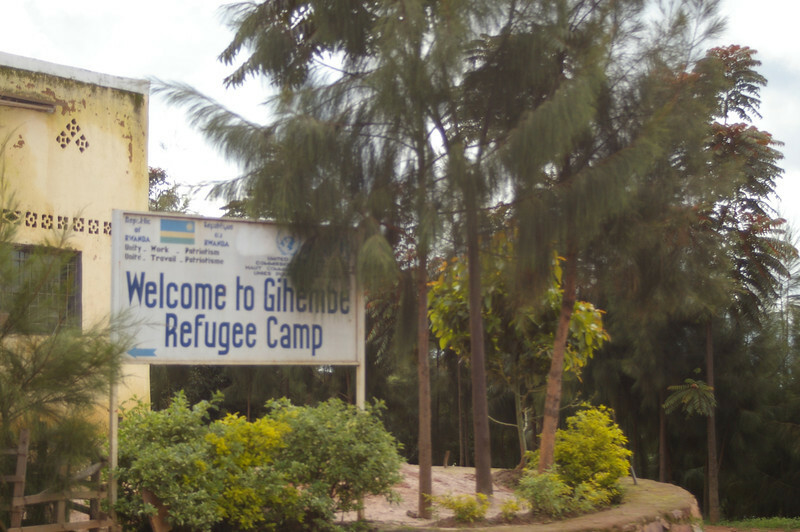 . .
Of the 17,130 people in Gihembe as of March 2015, 14,798 were refugees and 2,332 were asylum seekers. 9% are Congolese originating from Masisi, Rutshuru and Kalehe in the North and South Kivu Provinces (as well as the Katanga and Orientale Provinces) of the Democratic Republic of Congo (DRC). As far as the refugees are concerned: 3,561 are girls between the ages of 0-17; 3,531 are boys in the same age range; there are 4,458 women age 18 and over; and 3,248 men in the same age range. Those age divisions are helpful because anyone under the age of 18 was probably born in the camp. The remainder are survivors of the massacre at the Mudende Refugee Camp in 1997—a little more than half of the refugees in the camp. The average family size in the camp is 5 people but it can vary from as little as 1 to as many as 14. 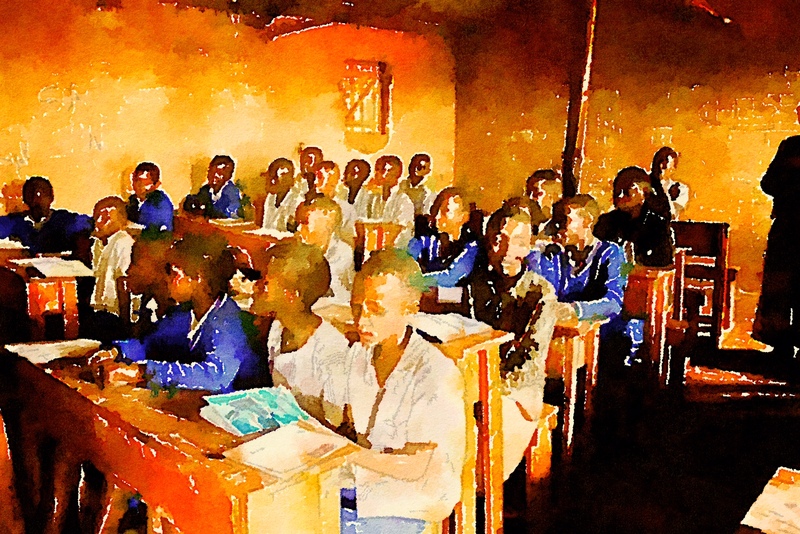 Only 50% of the refugees have a basic primary education, 15% have a secondary education; and very few have a university or post-university education. 2,127 of the refugees are considered special needs cases, which will often get them resettled more quickly: 530 are considered women at risk, 418 are unaccompanied children or children that have been separated from family, 619 are single parents, and 560 have serious medical conditions. The major cause of death in infants is respiratory infections mostly due to conditions in the camp, which can be cold and damp because of the elevation at which it is located. Because more than 93% of the refugees surveyed said (emphatically) that they were not willing to return to the DRC because they not only fear persecution but there are no guarantees they would get their land back (many of the refugees were subsistence farmers), Rwanda and the UNHCR are targeting 30,000 refugees for resettlement by 2018. Most of these refugees will end up in the United States with some being taken in by Finland and Denmark. Unfortunately, unless you are a priority case (one of the special needs refugees), it may take as long as three years to reach your new country. And, that time frame can be affected by a number of things including the birth of child, marriage, health issues and more. Fortunately, things are happening in the meantime to help sustain the level of hope as well as improve the lives of the refugees. There are now education programs at Gihembe that cover primary education through the 6th level and secondary education through the 3rd level. Educating children in the camp will give them a head start once they reach their new homeland. In addition, nursery education was introduced to Gihembe in 2014. A health center was established to provide primary care to the refugees, and includes a maternity ward, laboratory, consultation rooms, a pharmacy and in-patient wards. There is also voluntary counseling and testing for HIV/AIDS. Raising awareness of HIV/AIDS, and particularly mother-to-child transmission has resulted in no children being born with HIV for more than two years. In 2014, 115 refugees were treated with anti-retroviral therapy. The camp’s nutrition center provided support to malnourished or vulnerable refugees, including 817 children between 6-23 months, 750 pregnant and lactating women, malnourished children under 5, and 26 refugees with chronic illness. Where once food was distributed to refugees on a monthly basis, a cash and voucher system has now been implemented in which refugees can pay for food using cell phones they received as part of the program. They are given a monthly allowance and use mVisa on their phones to pay in order to make their own choices and diversify their diets. This also gives refugees a chance to shop in the local village where they get to know the local community. 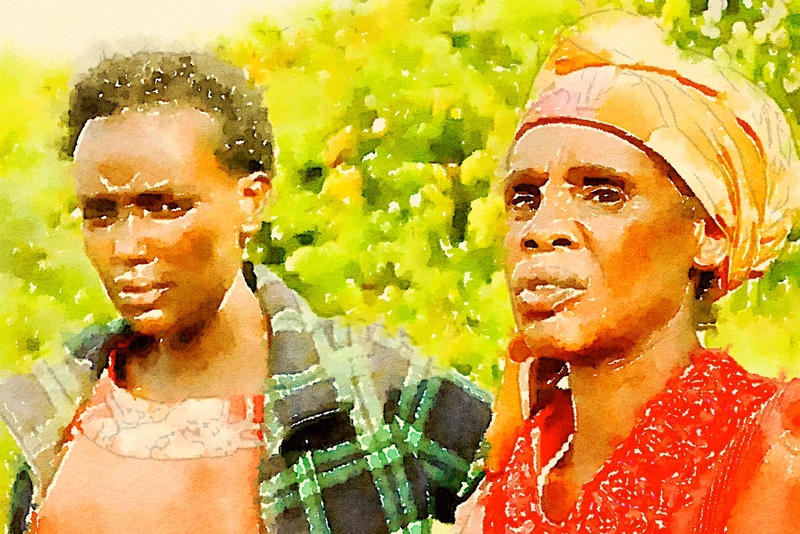 A group of 50 HIV-positive women have started a cooperative farming project in which they grow mushrooms and passion fruit both to supplement their diets as well as to help provide them with a source of income in addition to their monthly allowance. Since the beginning of the project, 12 have been resettled and thanks to technology they are able to keep in touch with these women. The project may supplement diet and income, but more importantly, it offers some empowerment and a community of support within the camp. Refugees at Gihembe who have been approved for the resettlement process can now take an ESL course if they meet the qualifications. They must be between 18 and 65 years of age with some literacy in their native language (in this case Kinyarwanda). They then are enrolled in the class for 3 hours a day for 20 days. 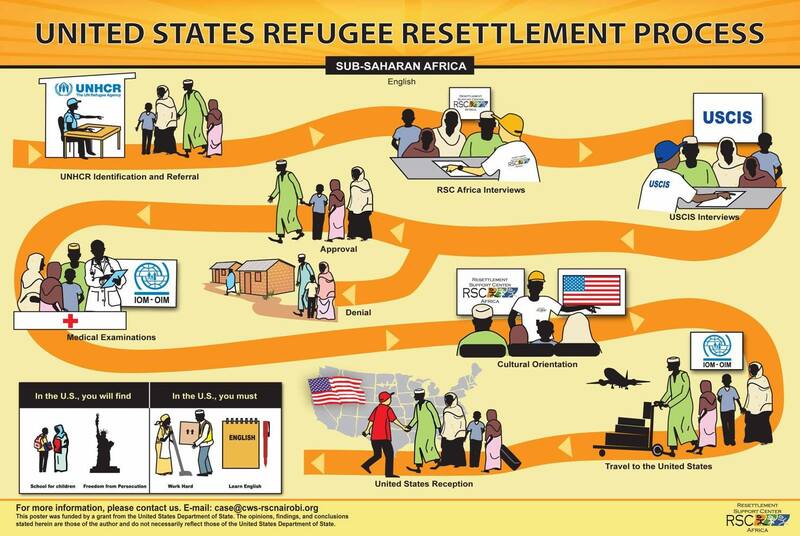 The refugees have about a 75 percent retention rate (on average) once they finish the course. Their ESL teachers are fellow refugees who were trained as teachers before ending up at Gihembe. So far, 213 students have completed the ESL program, with another 41 currently enrolled for a total of 254. And while it is only a fraction of the total population that is being considered for US resettlement, learning some English greatly improves a refugee’s ability to succeed once they reach America. Over the next 4-5 years, the United States expects to welcome tens of thousands of refugees from the Democratic Republic of the Congo (DRC), scene of some of the world’s worst ongoing violence and human rights abuses. According to UNHCR, approximately 430,000 refugees from the DRC have sought protection in neighboring countries, including Burundi, Rwanda, Uganda and the United Republic of Tanzania. In addition, there are some 2.7 million internally displaced people (IDPs) within the country itself. Of the 5,155 refugees resettled last year by Episcopal Migration Ministries and its network of affiliate organizations, 420 were Congolese and that number is expected to grow in 2015. 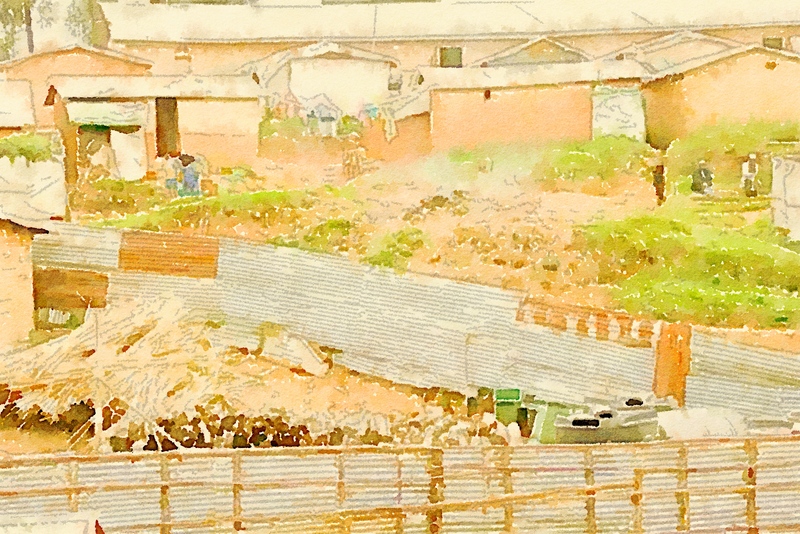 How can your faith community support and advocate for the plight of Congolese refugees? How can your congregation prepare to welcome these new Americans into your community? Please join Kurt Bonz, Program Manager for Episcopal Migration Ministries; Allison Duvall, Episcopal Migration Ministries’ Church Relations Manager; and Katie Conway, Policy Analyst for Immigration and Refugees in the Domestic and Foreign Missionary Society’s Office of Government Relations, in a church wide webinar on Thursday, February 19 at 7:00 pm EST. Allison, Katie and Kurt will: provide an overview of the conflict in the Democratic Republic of the Congo (DRC), update the current status of Congolese refugees, and suggest what you can do in your community to continue to welcome Congolese refugees as they arrive in our country seeking safety, peace, and a chance to begin their lives again. Questions are welcomed and encouraged and can be submitted via the webinar chat room or on social media using #ShareTheJourney. On March 2, Frank and I will be among a group of thirteen traveling to Kenya and Rwanda as part of the #ShareTheJourney Pilgrimage. #ShareTheJourney is designed to raise awareness of ways in which the Missionary Society, through Episcopal Migration Ministries (EMM), works to facilitate refugee resettlement work throughout The Episcopal Church. The pilgrimage is funded through a Constable Fund grant awarded last year by the Episcopal Church Executive Council. 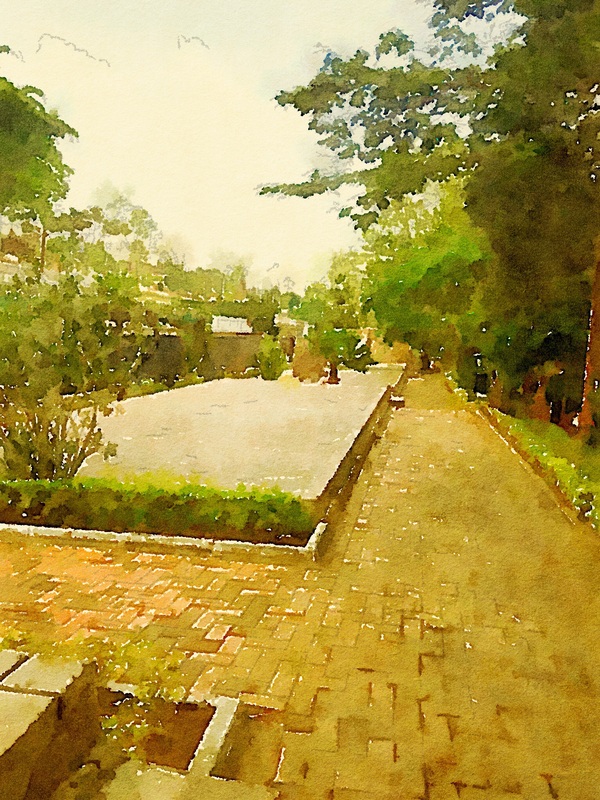 The Constable Fund provides grants to fund mission initiatives that were not provided for within the budget of the Domestic and Foreign Missionary Society passed by the General Convention. 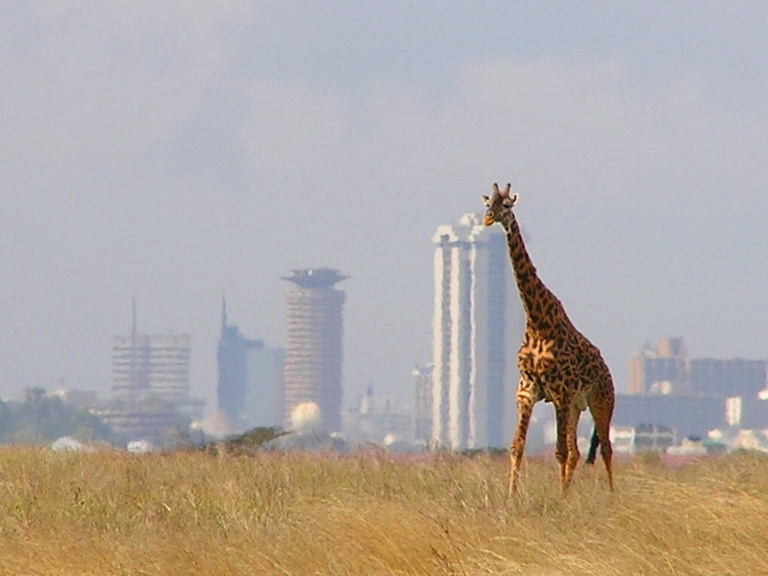 The pilgrims will travel to Nairobi, Kenya and Kigali, Rwanda. Among the planned visits are the Kigali Genocide Memorial Centre and the Gihembe Refugee Camp in Rwanda as well as operations supported by Church World Service’s Resettlement Support Center (RSC)-Africa, and the UN refugee agency UNHCR (United Nations High Commissioner for Refugees). Through #ShareTheJourney on Facebook or Twitter through @EMMRefugees and #ShareTheJourney. Participate through interactions, retweets and posting a photo of yourself holding a hand-written sign indicating: #ShareTheJourney with @EMMRefugees. Episcopal Migration Ministries is the refugee resettlement service of the Domestic and Foreign Missionary Society. Each year this ministry works in partnership with its affiliate network, along with dioceses, faith communities and volunteers, to welcome refugees from conflict zones across the globe. #ShareTheJourney as the Domestic and Foreign Missionary Society celebrates 75 years of resettling refugees in the United States. 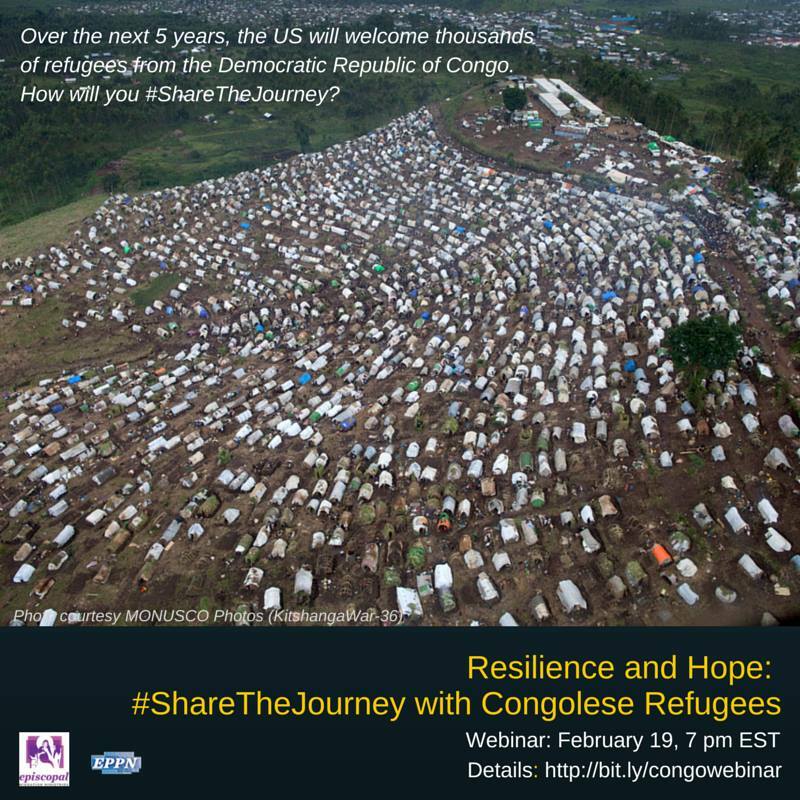 #ShareTheJourney is a multi-media effort to educate, form, and equip Episcopalians to engage in loving service with resettled refugees and to become prophetic witnesses and advocates on behalf of refugees, asylees, migrants, and displaced persons throughout the world.